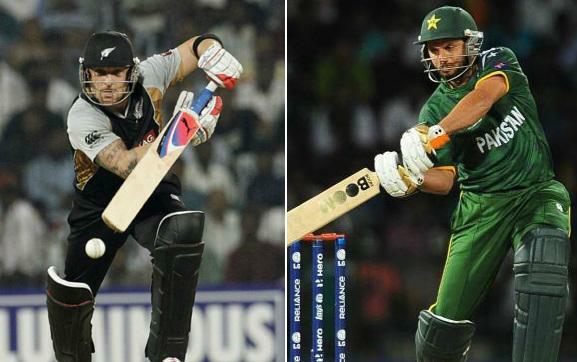 Pakistan set to tour New Zealand in January 2016 as part of the Twenty20 World Cup preparations where they will be playing 3 Twenty20 and 3 ODI matches starting from 15th January 2016. Pakistan cricket board has announced the squads for both ODI and T20. Azhar Ali is set to continue as Pakistan ODI captain while Shahid Afridi will lead T20 matches against New Zealand. Muhammad Amir is picked in both T20 and ODI Squads. Pakistan lost the recently concluded Twenty20 series against England 3-0 which was a surprise as Pakistan were playing in very familiar conditions but that whitewash might have a massive impact on how the players are picked for the upcoming T20 world cup. PCB has already warned Afridi is not automatic choice for the T20 captaincy.